Disaster Recovery has always been a hot topic for business and for the longest time DR was an exclusive feature for those with huge IT budgets and expensive SANs doing replication at the array level. Fortunately things have moved on and there are a number of purely software-based technologies which bring disaster recovery functionality within reach of even small users; for VMware-based VMs there are many options including pure vSphere Replication, Site Recovery Manager, Veeam and Zerto. I'm a big fan of both VMware and Amazon Web Services and the lack of any useful product to link these technologies together has often been a point of discussion in client meetings; an on-site VMware solution needs somewhere else to replicate to - AWS should be a perfect fit for this! At $dayjob we've often quoted customers for just this, it's been based around Veeam backups. However, I have often played through a scenario in my head that would allow regular vSphere snapshots to be replicated to a 'pilot light' environment in AWS using only native tools. Last weekend, I made it happen. In my head at least, it's quite straightforward. 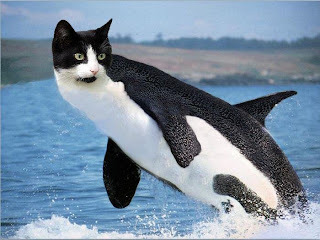 Take an initial snapshot, replicate it to AWS and then make use of vSphere Changed Block Tracking so that with every future snapshot, only the differences between each snapshot will need to be replicated, thus vastly reducing replication overhead when I need to get that data into AWS! 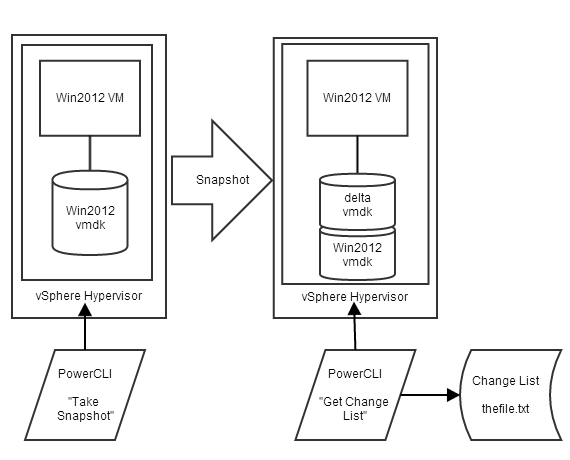 I use VMware's PowerCLI PowerShell cmdlets to connect to the vCenter Server (a single ESXi host should also work) and take a snapshot of the VM I want to protect. 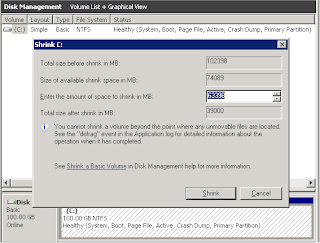 Many thanks to Scott Herold, the VMguru for this great post which told me how QueryChangedDiskAreas worked and how to get the ChangeId for the each virtual hard disk! $newSnap = $vm | New-Snapshot -Name "Karma Sync"
thefile.txt tells us the parts of the disk we should be interested in and we now need to get those bytes. I amended the 'vixDiskLibSample.cpp' sample program which comes with VMware's Virtual Disk Development Kit. I edited the 'DoDump' function which allowed you to specify an offset and byte count for it to spit out a hex-dump of that portion of the disk. I removed the hex-dump feature and changed the function so it would instead write a series of files to the current directory. For every line of 'thefile.txt', the DoDump function will now write a file whose name is the byte offset. The length of that file is, you guessed it, exactly the size of the change. Amazon Web Services recently launched a unified CLI tool to bring together a ton of individual tools. This is great news since the configuration and usage for each of those tools was different - you'd end up with a whole stack of Python, Ruby and Java and duplicated configs. Oh dear lord so much Java. I digress. Repeat all of the above steps every 15 minutes, or as often as you wish. The only thing of particular note is that back in Step One when you retrieved the value of $thischange, you must ensure that the NEXT time you take a snapshot, you pass that value into the QueryChangedDiskAreas function instead of "*", otherwise you will be syncing the entire disk each time! The bucket name 'gdh-vmimport' is somewhere for the ec2-import-instance to store a manifest file which details the S3 location of all of the 4096 10MB chunks of data which AWS will use to 'Amazonify' your disk image. This will take ages to upload - the 40GiB took approx 45 minutes on an m3.medium. After that, Amazon will boot the instance behind the scenes, install EC2Config and the Citrix PV SCSI and Network drivers. This takes approximately 15 minutes. That brings the minimum achievable 'Recovery Time Objective' to no less than one hour, which is a bit sucky. All comments welcome - this is a Proof of Concept piece of work and while it works, you'll want to add a wrapper for monitoring, reporting, alerting and configuration. 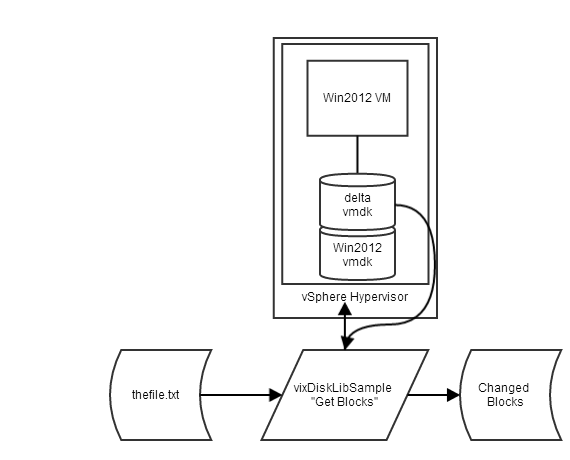 Here's a patch of the changes I made the VMware's vixDiskLibSample application. I am not a C++ programmer! In the world of Puppet this is a very convenient way to handle the problem of running a puppet-master and its requisite SSL key signing. Puppet's SSL signing is suitable for running a house of pets, but falls some way short when dealing with a farm of cattle. 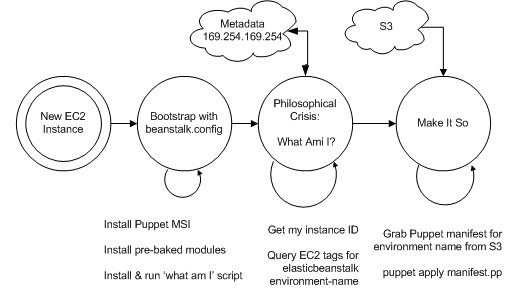 During the Christmas break I tried to reimplement an existing customer's AWS Elastic Beanstalk deployment with Puppet using Sam Bashton's talk as the inspiration. I've now been prompted to write it up after reading Masterzen's great article this morning. command: appcmd add apppool /name:"CustomerName.NewWebServices"
command: appcmd add site /name:"CustomerName.NewWebServices" /id:2 /bindings:http://web.customername.com:80 /physicalPath:"c:\inetpub\newwebservices"
command: appcmd set app "CustomerName.NewWebServices/" /applicationPool:"CustomerName.NewWebServices"
There's a whole ton of pain going on there. Every time new code is deployed through Beanstalk (the customer uses the AWS Toolkit for Visual Studio to publish directly from their development workstations) every command in this Beanstalk configuration will be executed. I would far rather define this in terms of a Puppet manifest - that way only deviations from the described state will be changed, rather than churning through every change every time. First we need to take the Windows Server 2012 AMI used with Elastic Beanstalk and install Puppet and other tools. It's common to bake your own AMI however I'm quite keen on avoiding work so I prefer to configure the existing Windows Server 2012 AMI (ami-396a784d at time of writing). This will download 'gopuppet.zip' and puppetmodules.zip from an existing server in the environment called 'admin01' - the source could just as easily be on S3. Redirecting the output for the 'gopuppet' command allows us to see what's going on by using Beanstalk's 'Snapshot Logs' command in the web UI. # the piped where clause works on my home laptop but not here - maybe AWS Tools 3.5 versus 3.0 on the AMI? $tempfile = Read-S3Object -BucketName cust-deployment-data -Key "$envname.pp" -File "$env:temp\$envname.pp"
write "file $tempfile was written to recently"
$env:Path += ";C:\Program Files (x86)\Git\cmd"
I had to hack the download_file module around to fix assumptions made about the location of temporary directories, and also to include a new download_unpack_file function which uses the Explorer Shell to unzip files without needing 7-Zip or other binary dependencies. Now we're really getting somewhere and we just need the manifest itself. Here's a simplified version, since the real one is an epic 400 lines. Deployment time was far greater during the 'puppet apply' run. This was typically over three minutes for each new run compared with one minute for the 'do it all' beanstalk.config approach. No obvious way to get a signal to re-run 'puppet apply' other than uploading or redeploying existing code through Beanstalk. The full config included several Git-based vcsrepo sources - I wanted to be able to 'bump' the config rather than do a full environment update. Over the last couple of weeks I've been building a VMware home lab (it'll probably get a post of its own in the near future) to replace 'eddie,' my ageing Core 2 Duo server and one of the constraints I enforced during the build was for the lab to be 'self consuming'. By that I mean it mustn't rely on external devices for DHCP/DNS or storage - the lab will be using power all the time so I wanted to minimise the amount of running equipment. 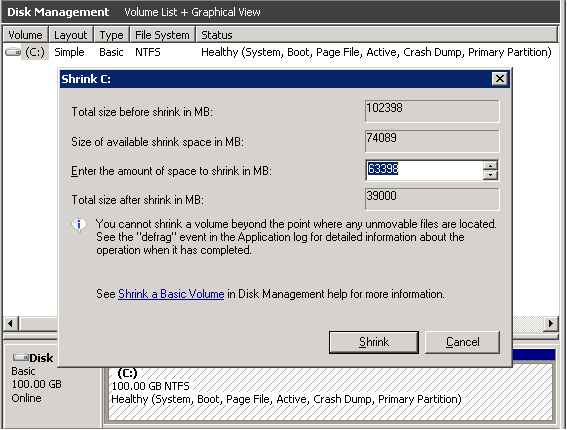 For now I want to focus on the use of VMFS formatted partitions on USB keys / sticks / thumb drives with ESXi 5.1 because I assumed it would be straightforward. 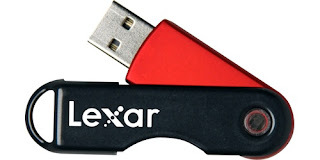 The summary is simple: ESXi is just as fussy with USB devices as it is with everything else. Need to disable this service else ESXi will make it available as a passthrough device for use by VMs. Now insert the 4GB USB stick. # partedUtil setptbl mpx.vmhba39\:C0\:T0\:L0 gpt \"1 2048 7550550 AA31E02A400F11DB9590000C2911D1B8 0"
Creating vmfs5 file system on "mpx.vmhba39:C0:T0:L0:1" with blockSize 1048576 and volume label "none". At this point, you can simply click 'Refresh' in the VMware vSphere Client and the new volume will appear. Rename it to something sensible (or use the -S option in vmkfstools) and we're done. # partedUtil setptbl mpx.vmhba40:C0:T0:L0 gpt "1 2048 7550550 AA31E02A400F11DB9590000C2911D1B8 0"
Creating vmfs5 file system on "mpx.vmhba40:C0:T0:L0:1" with blockSize 1048576 and volume label "none". Error: vmkfstools failed: vmkernel is not loaded or call not implemented. 2013-08-26T17:40:09.176Z cpu1:2049)ScsiDeviceIO: 2331: Cmd(0x41240080c0c0) 0x1a, CmdSN 0x1a4b from world 0 to dev "mpx.vmhba40:C0:T0:L0" failed H:0x0 D:0x2 P:0x0 Valid sense data: 0x5 0x24 0x0. The sense data seems interesting. The VMware KB article 289902 discusses the sense keys - 0x5 is "ILLEGAL REQUEST" and the linked page on the T10 website goes into further detail that '0x24 0x0' is INVALID FIELD IN CDB. 2013-08-26T18:53:31.861Z cpu1:2049)ScsiDeviceIO: 2331: Cmd(0x412400810cc0) 0x1a, CmdSN 0x4b6 from world 0 to dev "mpx.vmhba39:C0:T0:L0" failed H:0x0 D:0x2 P:0x0 Valid sense data: 0x5 0x24 0x0. The conclusion is a very unsatisfactory "ESXI 5.1 is fussy" since really there's no news there at all. 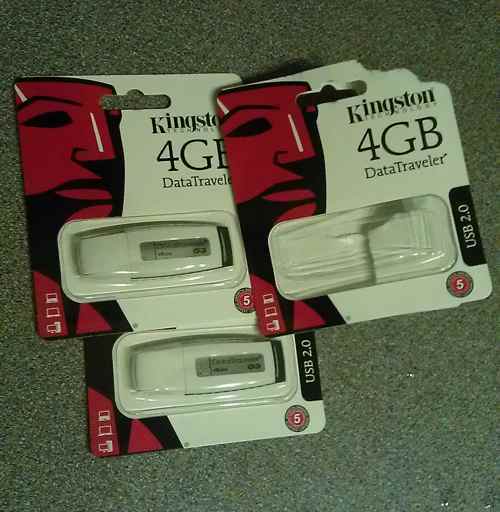 I also have no idea how to pre-judge which USB sticks will work and which will fail, so I've just gone and bought another three DataTraveler G3's since I need them to complete the lab build. The one which is not in the packet is currently in the first MicroServer. It exhibits exactly the same behaviour as the Lexar sticks. The SCSI revision number appears to be the crux of the matter. However, even after a reboot of that ESXi host, there was no change in the behaviour :( Boo! Let's hope that the kernel with vSphere 5.5 is a little more forgiving! I recently deployed a couple of Windows domain controllers from a CloudFormation template and only after I'd done reasonable work to them did I realise that the boot drives were 100GB rather than a more sensible 40GB. Now, that additional 60GB isn't exactly going to break the bank (it works out at about £50 per year) however I'm committed to provisioning the correct size. I investigated a few different options for shrinking the Windows boot drive in AWS and this is the one that I found to be the most clear. 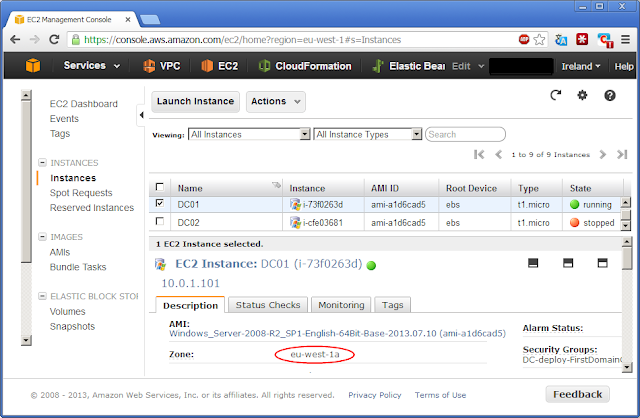 Create a new Amazon Linux EC2 instance in the same zone.